If you have a dental emergency, whether it’s a toothache, a broken tooth or a lost filling, we know it’s important that you get seen as soon as possible. We reserve special time in our schedule for patients like yourself so that we can see you the day that you call/text us. As our patient, you can rest assured that you will always be taken care of, even when everyone else is closed or busy! Our focus is on treating you like family, in fact, many of our patients are our families and friends and we extend the same concern to each and every patient we see. Today, some dentists are handcuffed by insurance companies and are forced to limit their services based on what the insurance company thinks is right for you. We think that’s wrong, and always offer you all of your options and recommend the care that is the best for your individual situation. You have a busy schedule. Work, picking up kids from school, going to the gym, getting groceries…..sometimes it’s hard to fit a dental appointment in the middle of the day and we understand. We are offering more days of service and extended hours with early morning and evening appointments to make it easy for you to fit dentistry into your busy life. And, if you get to your appointment early and, you can enjoy our complimentary Wi-Fi so you can check up on your emails or sports teams! A dental visit doesn’t have to be unpleasant and scary anymore. We use the most advanced technologies to make your visit relaxing, such as headphones with your favorite music streaming. We even have an arm on our dental chair that you can attach your iPhone or iPad to, so you can enjoy your favorite entertainment during treatment. We also can prescribe medications that can help you relax during your visit. 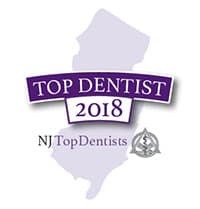 To schedule your appointment, simply give us a call /text at (908) 737 -1313. You can also fill out the forms available online to keep your visit shorter.